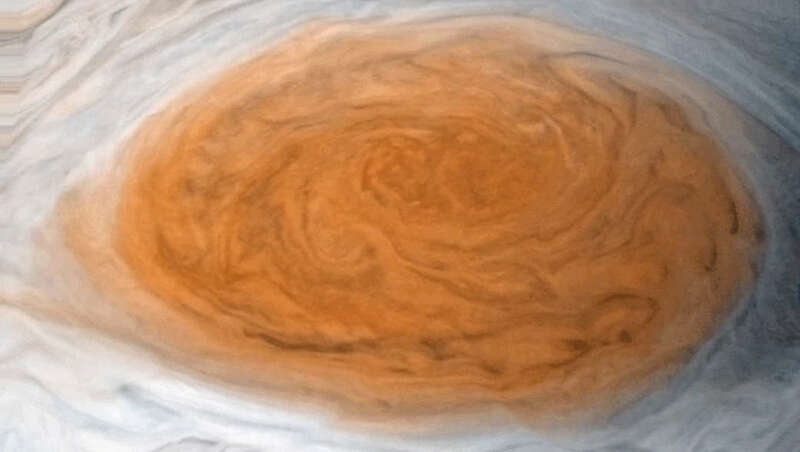 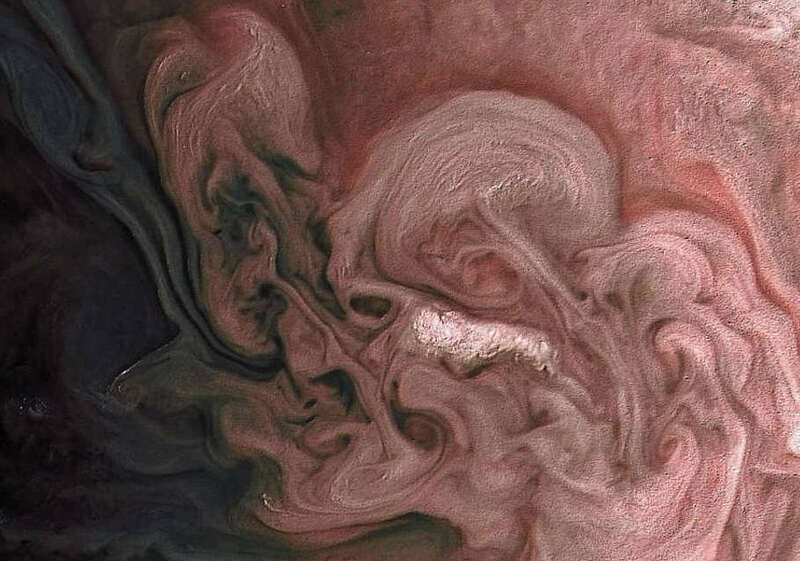 In this image the swirling cloud formations around the south pole of Jupiter, looking up toward the equatorial region. 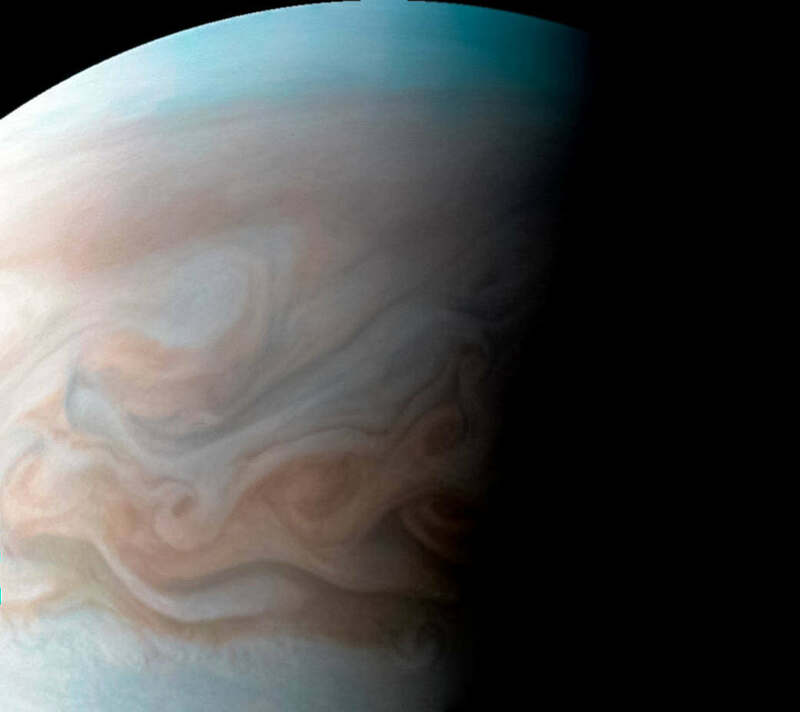 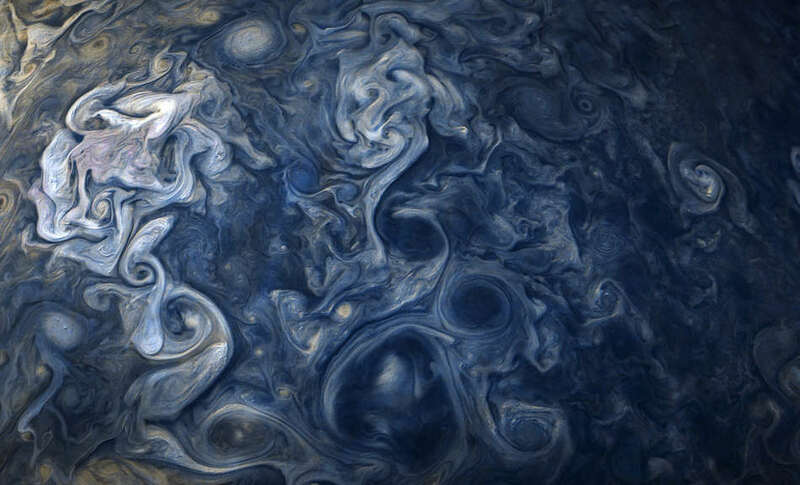 Jovian clouds in striking shades of blue in this new breathtaking view taken by NASA’s Juno spacecraft. 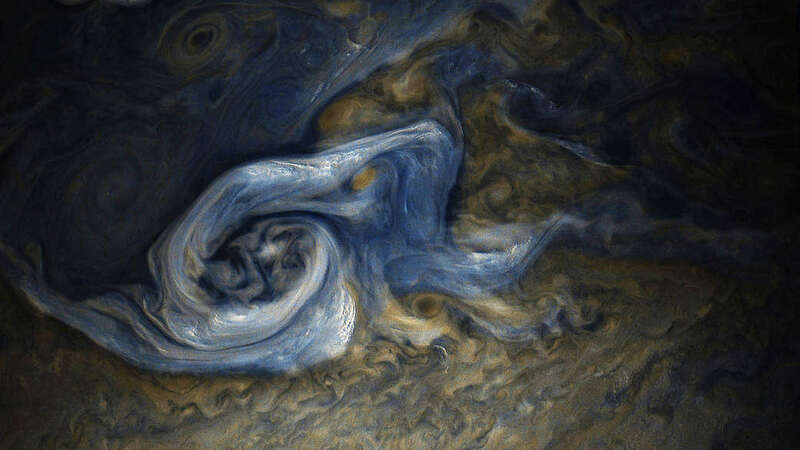 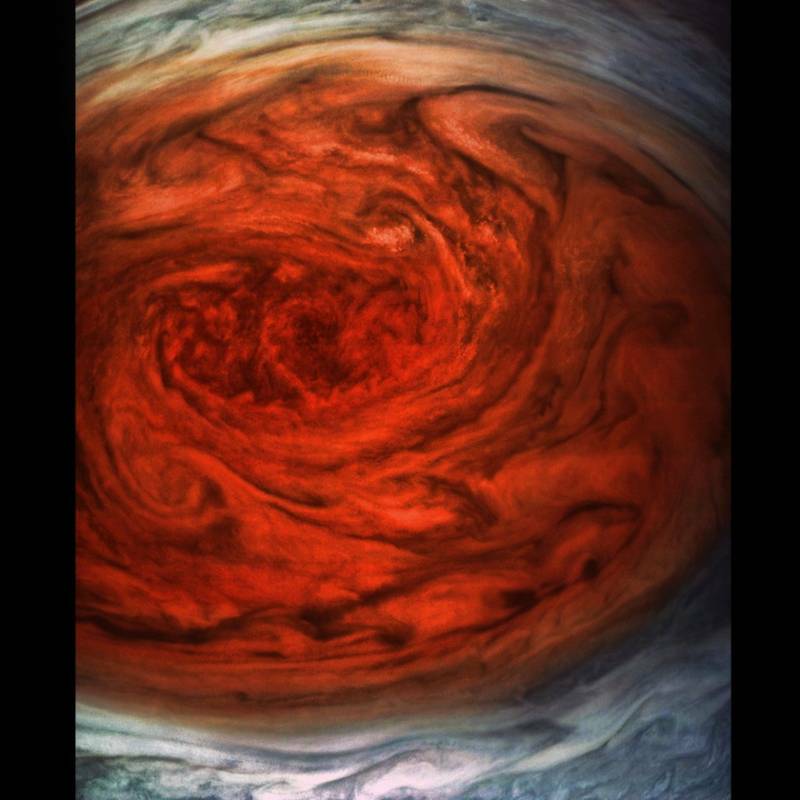 Color-enhanced image of a massive, raging storm in Jupiter’s northern hemisphere, by NASA’s Juno spacecraft. 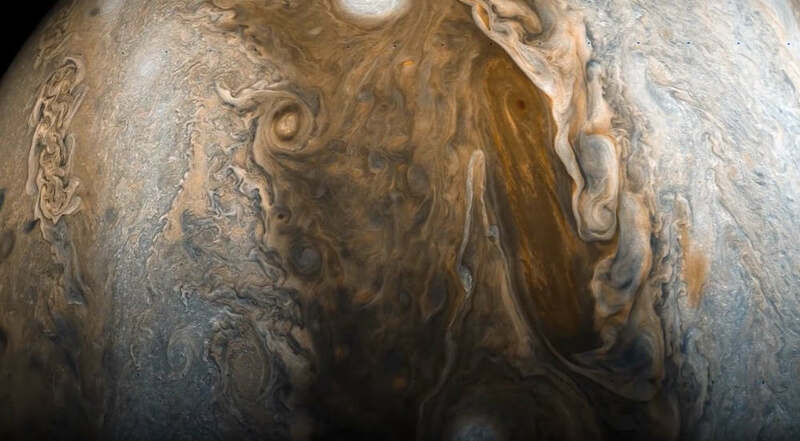 These are the images that a lot of Jupiter fans have been waiting for. 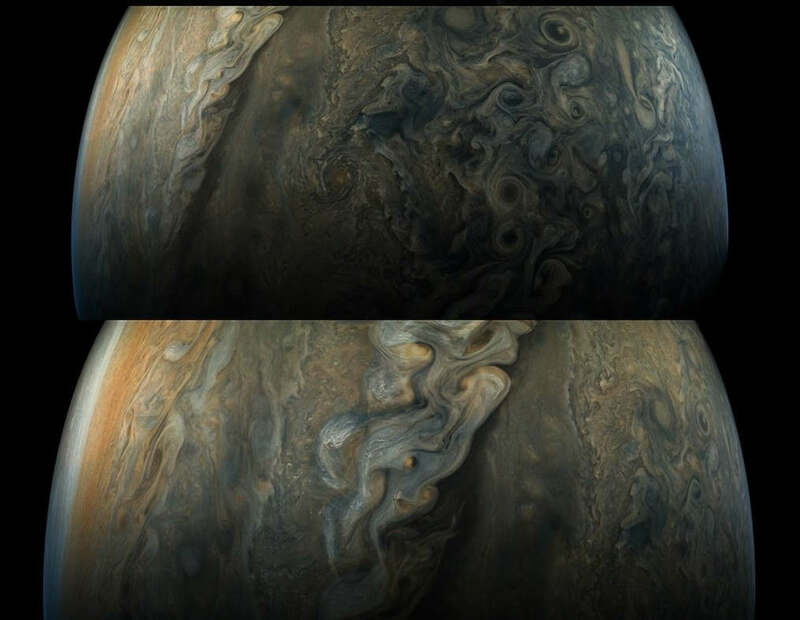 An amazing sequence of images shows how quickly the viewing geometry changes for NASA’s Juno spacecraft as it swoops by Jupiter. 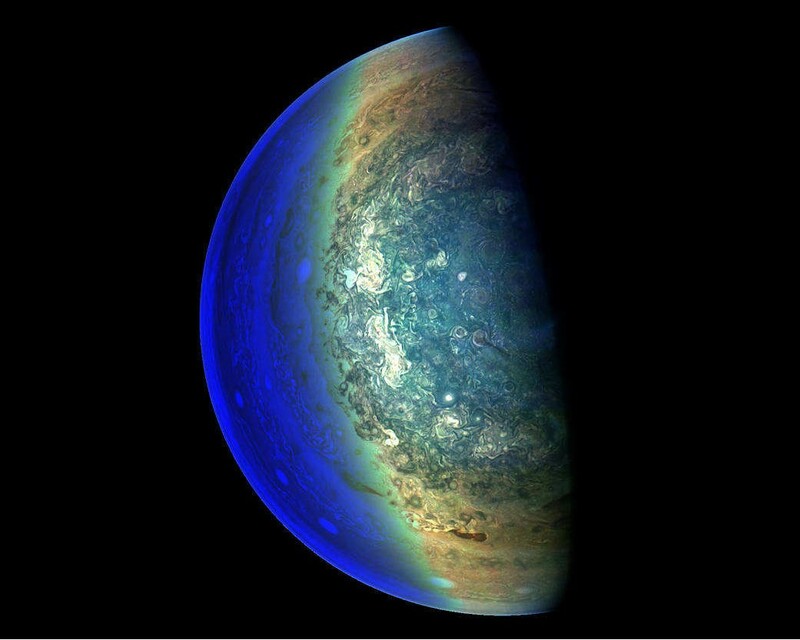 These are the first science results from NASA’s Juno Mission on Jupiter, the largest planet in our solar system. 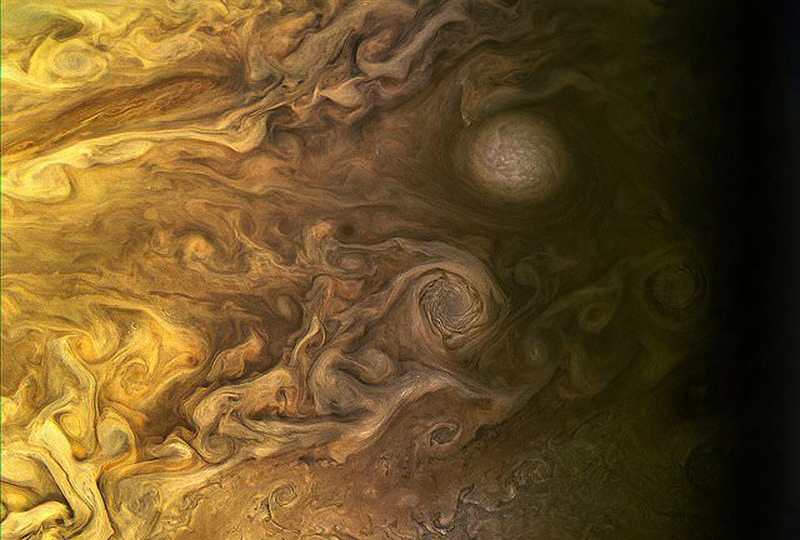 This close-up view of Jupiter captures the turbulent region just west of the Great Red Spot in the South Equatorial Belt.